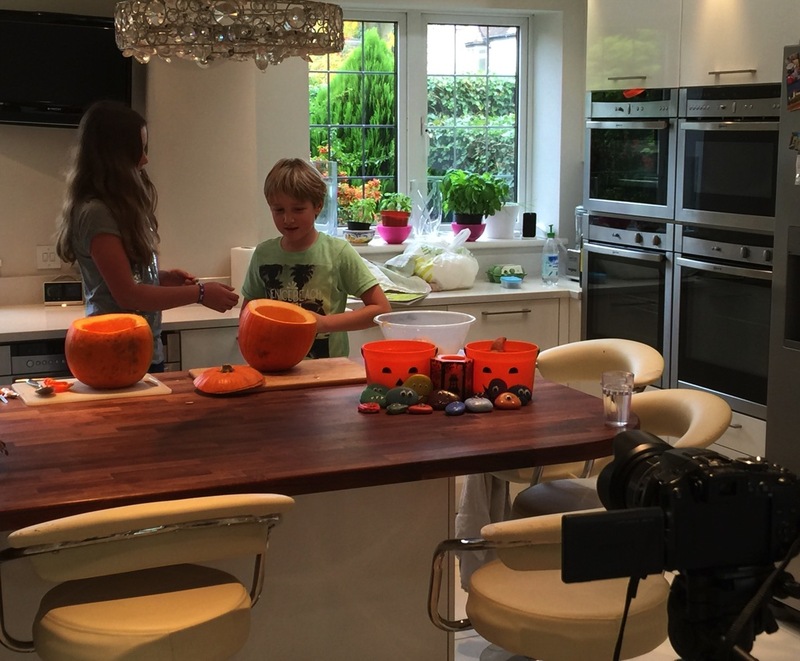 Is Halloween a big event where you live? Here in Australia, the shops have been trying to encourage us to celebrate Halloween for the past few years, by selling costumes, candy and decorations, but not many people are interested. A few children might try trick or treating, but certainly not the majority. After Halloween, the shops are full of lots of unsold post-Halloween bargains. That’s the time to buy them! I love your rock monsters. To me, they look cute rather than scary! Yesterday, my girls painted some rocks too: cats and birds. I think Sophie and Gemma-Rose would love making rock monsters. I shall show them your photos. And I’ll follow your link to Coastal Inspired Creations for more ideas. Actually, I have a few rock art pins on one of my Pinterest boards. I pinned a few that floated through my feed. Then Pinterest decided I was passionate about rock art and kept showing me more and more! I’ll watch out for the video! Halloween’s been becoming more popular here over the last few years, but it’s nowhere near as big as in the US. I wonder if people like having something to cheer up the darkening evenings (our clocks went back last week so it’s now dark at 5pm!). Maybe this makes us more susceptible to American Halloween influence than our Australian friends who are beginning to enjoy warmer, lighter days again? I am laughing as I imagine J disguising himself as a front door! Oh, my that is such a unique idea. Thank you so much for sharing that story. I’m starting my day with a big smile on my face! Those are the cutest thing ever! 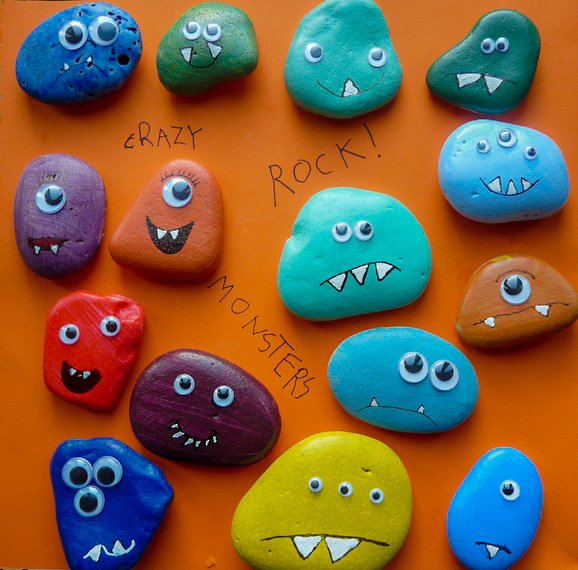 What a clever idea– rock monsters. I love it and we’re definitely going to have to try making some of our own. They’re cute aren’t they, Joanne? My husband had to visit the coast today so we’ve got him collecting more pebbles! 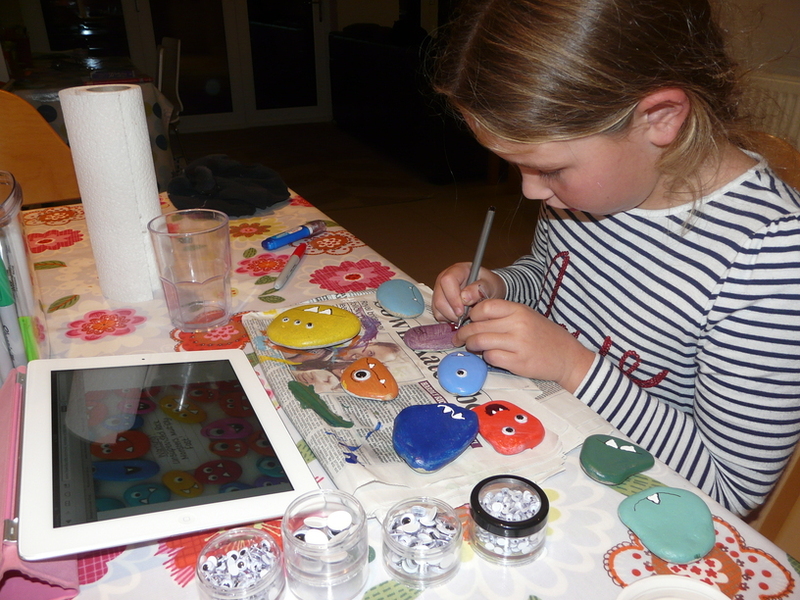 Jessy, thank you for telling me about Pet Rocks – I’ve never heard of them but I enjoyed finding out about them just now. They’re so cute! Your fridge magnets sound fun too. oh aren’t these just delightful! 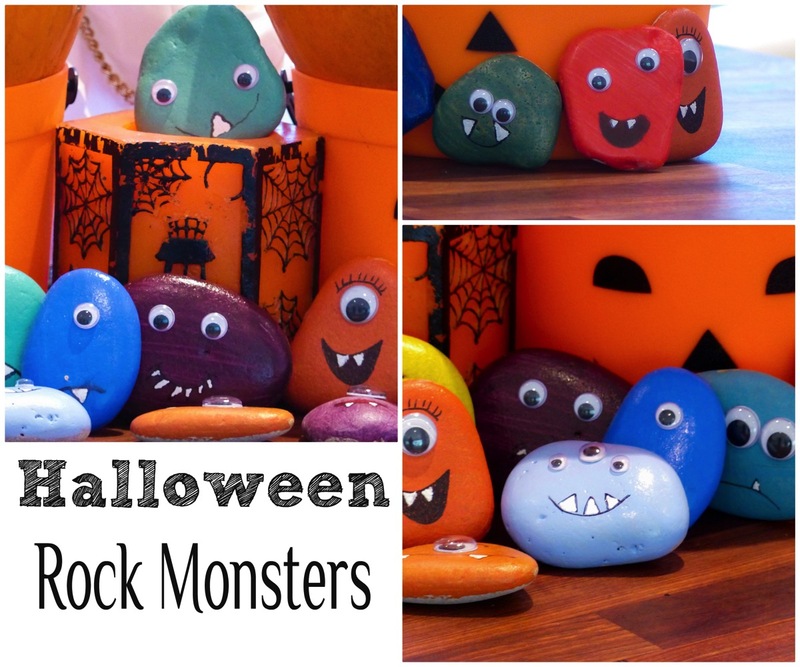 We did some rock monsters for Halloween also, but they are very different to these! 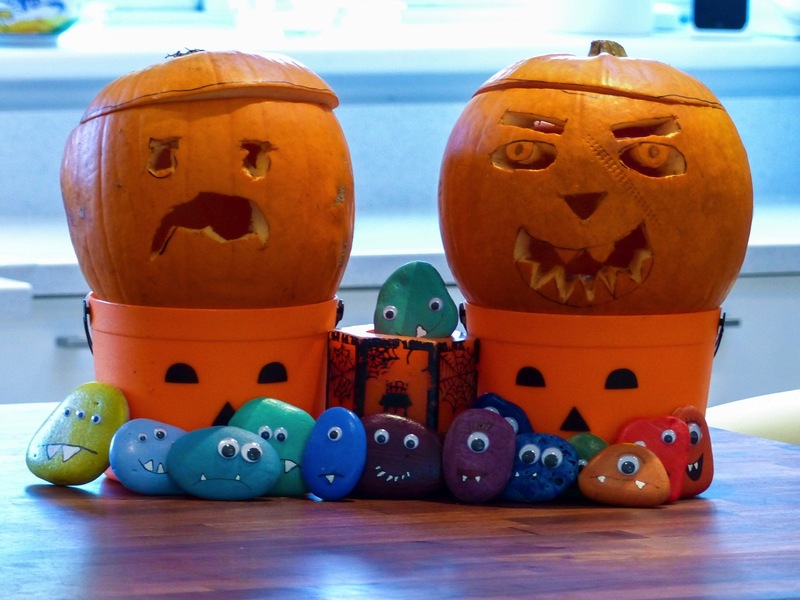 We don’t ever do anything for halloween, but these are particularly cute. I hope you all enjoyed you indoor surfing. Really, the mind boggles completely! Thanks, Claire. I know what you mean – I can’t wait to see how the surfing works!